The joy of being an aspiring writer or a blogger, is to enjoy scribbling no matter what the situation is. So here I am writing… during a nation wide power cut, trying to make the most of it. While I was driving, from my place of work in Ta’ Xbiex all the way to Siggiewi, I was thinking to myself…. I will explain better; I drove through Ta’ Xbiex, Msida, Pieta, Blata l-Bajda, Hamrun…. through which, none of the traffic lights were working. All the cars were driving aimlessly towards one another like it is no one’s business to make it across to the other side of the road. I saw cars becoming a version of a roundabout, and people crossing the busy roads between 17:00 and 18:00 frantically, as if life or death did not matter to them at all. Arterial Traffic Lights should be connected to not just one electricity grid; Meaning, if one electricity source fails, they would not collapse, but use a second source, be it from Delimara Power Station, the Malta-Italy Interconnector and so on. Invest in Solar Powered Traffic Lights – We boast that we have 300 days of sunshine a year in Malta… why are we not taking advantage of this? 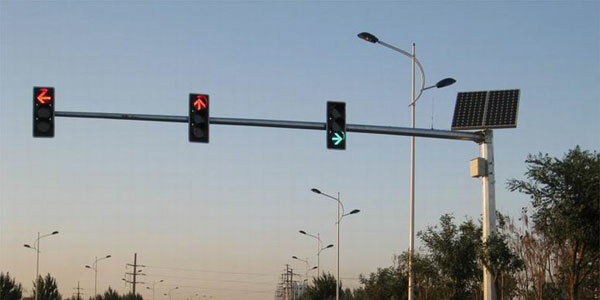 I have read that we have a fair amount of solar powered road lights, so why not traffic lights? I am sure that this will help keep these little islands of ours in order during power cuts and more!